California To Bunch Pot Farmers & Grape Farmers Together? Pot Farmers Bunched Together With Grape Farmers? The Regulate Marijuana Like Wine Act isn’t made up from a novel but an actual initiative supporters are collecting signatures for to be placed on the upcoming ballot in California. Co-author of the measure is Steve Kubby, who also helped draft and promote Proposition 215, California’s first medical cannabis law. Basically the measure amends decriminalization for marijuana in California for those over the age of 21 and exemption from permitting fees of growing and cultivation of up to 12 plants per land parcel using grape and wine industry standards. Growers selling cannabis products would be taxed and regulated under state rules that currently apply to wine. An exception was made for hemp products with no hallucinogenic properties. What’s cool about this initiative is the state tells the federal government if they want to go after anyone on marijuana charges, it will be all by themselves. We know federal law will always trump state laws but the Feds will have to go in front of a jury of Californians to get any convictions which might prove costly and difficult. While The Regulate Marijuana Like Wine Act prohibits commercial advertising for the sale or use of marijuana, it exempts medical cannabis. The initiative explicitly states that it would “not repeal, modify, or change” Prop. 215 or any related laws. The Legislative Analyst’s Office said that depending on the response of the federal government, the proposed law could save tens of millions of dollars annually by lowering incarceration rates and raise hundreds of millions of dollars in taxes. Californians have until December 9th to collect the half million signatures needed to add the measure to the ballot. 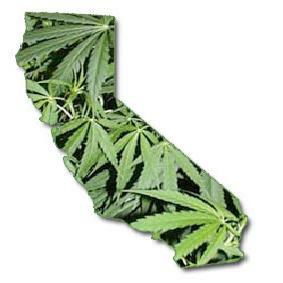 If added, voters could decide marijuana’s fate in California in November 2012 elections. This bong is so rad. How do we make one or get one? The California secretary of state’s office on Monday cleared a group to begin circulating ballot petitions to bring marijuana legalization to a state wide vote in 2012. This time they will argue that pot growers should be treated the same as vineyard owners or microbrewers, according to AP reports. Those who grow marijuana for their own use would not be taxed, but those who sell it would be regulated by the state Department of Alcoholic Beverage Control. On Monday, the secretary of state’s office said proponents can begin gathering the 504,760 signatures they’ll need to collect by Dec. 19 to put the initiative on the June or November ballots next year. The timing depends on how quickly the signatures are submitted and verified, although Kubby said proponents plan to submit revisions that would likely push the measure to the November general election. Proposition 19, which fell 6 percentage points short of the majority vote it needed last November, would have potentially created a patchwork of marijuana policies by letting local governments permit and tax commercial cultivation and sales. Kubby’s proposal would require statewide regulation. It also directs the state and local governments to avoid assisting the federal government in prosecuting marijuana crimes and seeks to remove marijuana from the federal government’s list of controlled substances. Kubby is joined by retired Orange County Superior Court Judge James P. Gray as chief proponent. The third listed proponent is William R. McPike, the Fresno-area attorney who represented Kubby as he fought drug charges. Kubby, the 1998 Libertarian candidate for governor, helped write the state’s medical marijuana law, approved by voters in 1996. 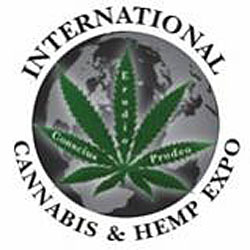 THE PEOPLE OF THE STATE OF CALIFORNIA, recognizing that it is time to tax marijuana and to regulate its use, hereby repeal all California state laws that prohibit marijuana possession, sales, transportation, production, processing, and cultivation by people 21 years of age and older, and thereby remove marijuana from any other statutes pertaining to the prohibition, regulation and scheduling of controlled substances, whether now existing or enacted in the future, except those related to driving a motor vehicle under the influence of marijuana; using or being under the influence of marijuana in public or in the workplace; smoking marijuana in the presence of, or providing, transferring or selling marijuana to, a person under the age of 21; the use, possession, cultivation, sales, transporting, or storing on premises of marijuana by people under the age of 21; and medical marijuana statutes as set forth in California Proposition 215 and its progeny. 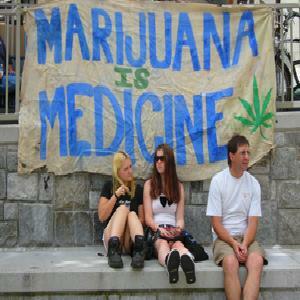 This act adopts the definition of marijuana as it is presently set forth in Health and Safety Code section 11018. (b) No regulations, taxes or fees shall be enacted or imposed which are more severe or restrictive than those for comparable and reasonable usage in the commercial wine grape farming and winery industry model, including for farming, planting, cultivating, irrigating, harvesting, processing, brokering, selling, distributing, and establishing of cooperatives or collective associations. The People further direct and order all state and local government elected, appointed and hired employees, officers and officials to refuse to cooperate with federal officials, or operate under U.S. contract or arrangement, to defeat this act directly or indirectly, or to follow or abide by any federal laws or regulations that are in conflict with this act. Further, no such person acting alone, or with any other person or legislative body, may contract or agree to cooperate with federal officials, employees, agencies or departments to obtain any money, property, gain or advantage by the arrest, prosecution, conviction or deprivation of property of anyone acting within the provisions of this act. Any such governmental or public person who knowingly and intentionally violates these provisions shall forfeit their government employment and office. The People further direct and order that within 30 days of passage, both the state Attorney General and the Department of Health Services shall inform the United States Department of Human and Health Services, Attorney General, Congress, and Food and Drug Administration that in 1996 California recognized that using marijuana can have some positive medical effects, and for that reason demand that marijuana no longer be listed as a Schedule 1 drug. The People further direct and order the Attorney General of California to protect the provisions of this act from any and all attacks, whether from individuals, cities, counties, or the state or federal governments. This Act expressly enjoins the arrest and imposition of any criminal or civil penalties for people 21 years of age and older who are acting within the provisions of this act, including all California penal and nuisance marijuana laws, penalties, and zoning regulations, except for those affecting medical marijuana at Health & Safety Code sections 11362.5, and 11362.7 et seq. This Act expressly does not repeal, modify or change any present laws or regulations prohibiting the driving of a motor vehicle while impaired by marijuana; the use or being under the influence of marijuana in the workplace; the providing, transferring or selling marijuana to, a person under the age of 21; the use, possession, cultivation, sales, transporting, or storing on premises of marijuana by people under the age of 21; or medical marijuana statutes as set forth in California Proposition 215 and its progeny. The legislature shall not modify, change, add to or subtract from, or amend any part of this Act, and if any part of this Act is found by any court of competent jurisdiction to be invalid or void, that finding shall not affect any of the remaining provisions. Ohio could be a major medical marijuana battleground next year, as two different initiative efforts aimed at the November 2012 ballot are getting underway and a bill is pending in the state legislature. If Ohio climbs on the medical marijuana bandwagon, it would be the second Midwest state to do so, after Michigan, which approved it via the initiative route in 2008. A medical marijuana bill, House Bill 214, was introduced in April and has been assigned to the Committee on Health and Aging, but given that a decade’s worth of efforts to get a medical marijuana bill out of the legislature have yet to bear fruit, patients and advocates are moving forward with efforts to put the matter directly before the voters. One initiative, the Ohio Alternative Treatment Amendment(OATA), was submitted to state officials Wednesday with more than twice the 1,000 signatures needed for the Attorney General to take the next step, approving the measure’s summary language. That will take place in 10 days. Organizers are already setting their sights on gathering the 385,000 thousand valid voter signatures needed to qualify for the 2012 ballot. They have until May to turn them in. 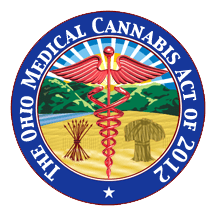 The OATA would modify the state constitution to allow doctors in a bona fide relationship with patients to recommend medical marijuana and offers protections to patients, caregivers, and physicians alike. Patients or caregivers could grow up to 12 plants and possess up to 200 grams of processed marijuana. Multiple caregivers could store their product in a “safe access center,” and growers would be allowed to receive some compensation. The second initiative getting underway, the Ohio Medical Cannabis Act of 2012 (OMCA) would modify the state constitution to establish government agencies to regulate medical marijuana “in a manner similar to the system that has successfully overseen vineyards and adult beverages,” according to OMCA press release. The campaign has yet to turn in the initial 1,000 signatures and win approval of its summary language, but has delayed because although it has already gathered more than 2,500, it is making final changes in the initiative’s language, said campaign spokesperson Theresa Daniello. Getting it right was worth the delay, the Cleveland patient and mother of five said. “We’re not in a huge rush.” Organizers would probably hand in the signatures in a week or two, she added. The OMCA would apply already familiar regulations, such as licensing, local option laws, and HIPAA patient privacy rules to medical marijuana. It would create an Ohio Commission of Medical Cannabis Control, which, like its counterparts in liquor control, would be charged with enforcing regulations and preventing diversion. Under the OMCA, patients with qualifying medical conditions who get a physician’s recommendation would be able to possess up to 200 grams of medical marijuana and up to 12 mature and 12 immature plants. Patients would be registered with the state and provided with ID cards. Patients would be able to designate caregivers to grow for them. “We’re trying to work together to keep the energy going the right way,” said Daniello. That would be great for patients like Chad Holmes, who underwent chemotherapy, radiation, and surgery for colon cancer, resulting in the removal of much of his digestive tract. He used medical marijuana to counter the side effects of nausea and severe pain, and found it to be the only medicine that allowed him to eat, maintain his strength, and function. “Medical marijuana didn’t cure me, but it allowed me to survive the cure long enough for it to work,” he said. He has now been cancer free for over six years. But if either the legislature or the voters act, that dilemma for medical marijuana patients will be resolved. 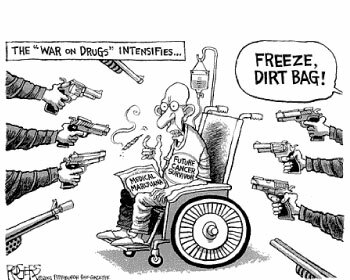 Look for a lot of action on medical marijuana in the Buckeye State in the next few months. Money will be key. Peter Lewis, founder of Cleveland-based Progressive Insurance and a significant drug reform funder, issued a request for proposals for action on medical marijuana in May, but neither group appears to have offered one. Day said she thought Lewis had turned his attention elsewhere, while Daniello said her campaign would likely contact him later. It will have to for either of these initiatives to have a serious chance of making it to the ballot. An Adrian man was warned against applying for a medical marijuana card when he was placed on probation Thursday for a cocaine offense. Growing and using marijuana is still against federal law, said Lenawee County Circuit Judge Timothy P. Pickard. And the state medical use program does not seem to be restricting certification to the seriously ill.
Pickard, Lenawee County’s chief judge, said Friday the courts have no policy ruling out all use of medical marijuana for people on probation. But he has to be convinced there is a legitimate need, he said. Regulations written by the state after a medical marijuana ballot proposal was passed by voters in 2008 do not require a prescription. Citizens can apply for certification cards with only a signed statement from a physician saying it may benefit their medical condition. Probation terms can restrict otherwise legal behavior, Pickard said, such as drinking alcohol or associating with people having felony records. And it would be difficult to excuse violating federal law by growing and using marijuana while on probation. Pickard said he will still consider approving medical marijuana use for probationers whose convictions are not drug-related and who can show evidence of a serious medical condition that can be treated with marijuana. A similar approach is being followed in district court, where offenders frequently are required to surrender medical marijuana cards as a condition of probation. Chief probation officer Tony Gonzalez said district court has no written probation policy on medical marijuana. Judges review it on a case-by-case basis, he said. The Michigan Depart­ment of Corrections also has no written policy on how medical marijuana should be addressed for offenders placed on probation, said department spokesman Russ Marlan. “We certainly would never make a recommendation that somebody do that,” Marlan said. But it is left to local judges to decide if medical marijuana is prohibited as a probation term. There is a policy banning medical marijuana for offenders released from prison on parole, Marlan said. It is standard condition that parolees cannot use controlled substances or possess drug paraphernalia. Department staff are also prohibited by policy from applying for medical marijuana cards and using medical marijuana, he said. “There’s alternative forms of medical treatment,” he said.